As my husband and I are going through our second full watch of Star Trek as a couple, I thought it would be fun to report on the highlights along the way. So I decided to copy the same format as Charlene. See her favorite episodes of Voyager season five. In my mind this season of Voyager was very okay. There were some I wasn’t crazy about, one standout, and the rest were good or fine. However, I do have two honorable mentions I considered for this list that I wanted to mention: Relativity and Nothing Human. In this episode, the Voyager crew finds a recreation of Starfleet Academy on a planet and learn that an alien species they have encountered are using it to learn how to infiltrate the human race. Part Two is technically in season 6, but I still decided include them both on my list for season five. It’s comforting to the Voyager crew when they run into another Star Fleet ship, the Equinox, but their crew is hiding a dark secret that makes it clear they have abandoned Star Fleet protocols. Between Janeway and Ransom these episodes made me uncomfortable at times, but that is the point. What are you willing to do in order to survive? This is a fun episode where the Doctor (of all people) tries to teach Seven about social interactions and dating, and then ends up falling for her (which I can live without, but whateves). There’s also a secondary plot where Neelix is hosting an alien ambassador who gets a little too caught up in the pleasures Voyager has to offer. Even though this episode features the most awkward kiss ever, I love all the trickery and deception in this one. This episode is pure fun and a great homage to classic sci-fi. 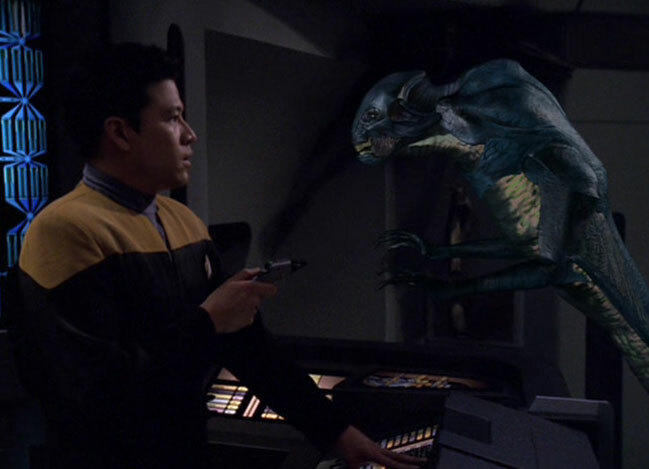 When an alien species mistakes the characters from Tom’s Chaotic holodeck program for the real crew, they have to be creative in defeating the enemy in the program, as well as effectively communicating who they really are with the aliens. You can tell Kate Mulgrew had a blast putting on the persona of Queen Arachnia. 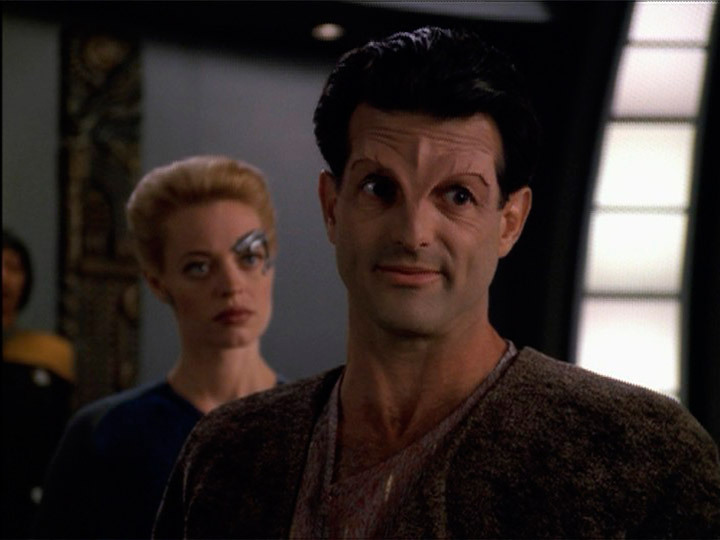 What are your favorite episodes of Voyager season five? 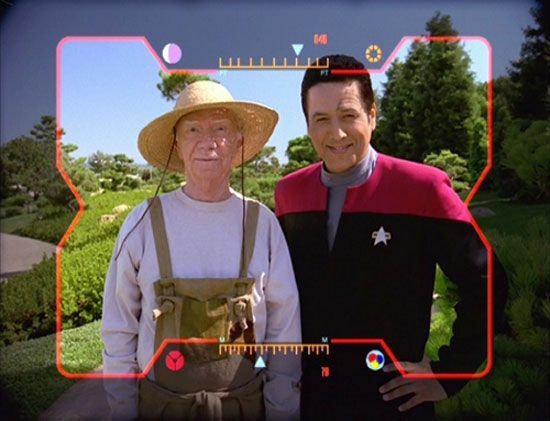 Ah, I so enjoyed this season of Voyager! I really want to watch Counterpoint and Bride of Chaotica again – “Bride” did have such a fun premise. Have you seen the trailer for the show The Orville? Do you plan to check it out? I’ve never even heard of it, but I’ve hardly watched any live TV this summer. What’s it about?